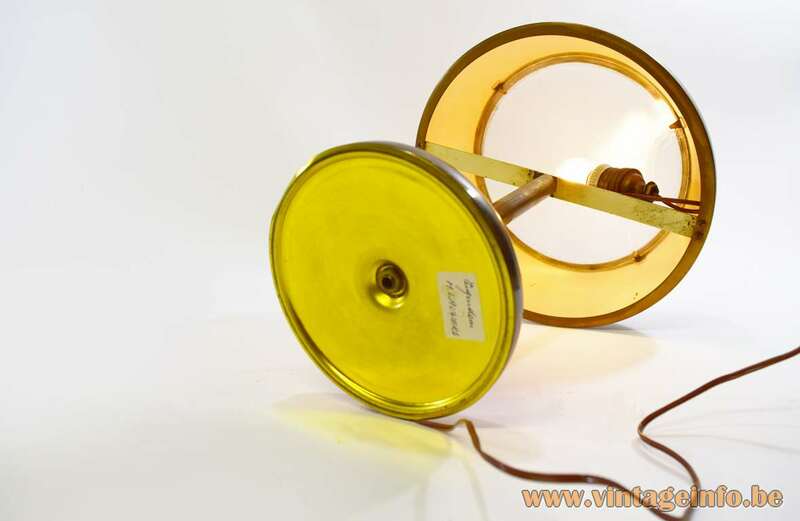 Materials: Mushroom style light with a round brass base and lampshade. Frosted glass dome diffuser on top. Iron parts. Brass and porcelain socket. 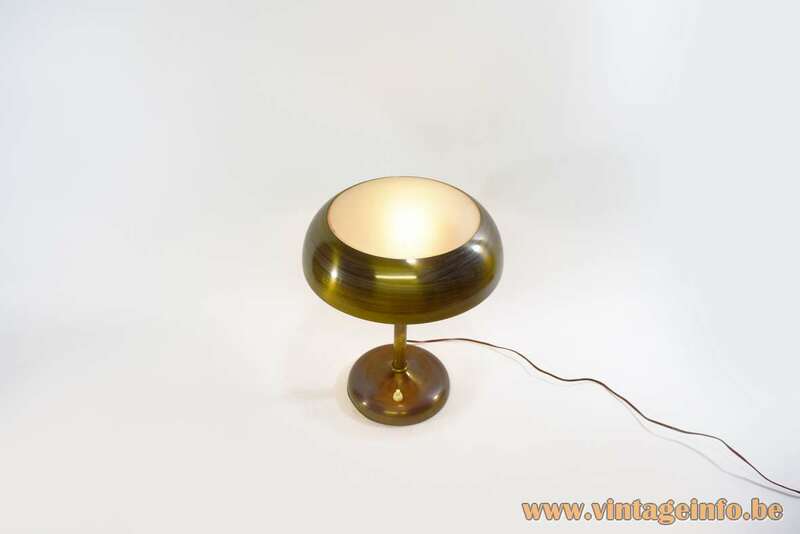 Period: 1930s, 1950s – Bauhaus, Art Deco. Manufacturer: To be appraised. No brand marks or whatsoever are present. Except for the switch, it has the initials WN pressed on it. 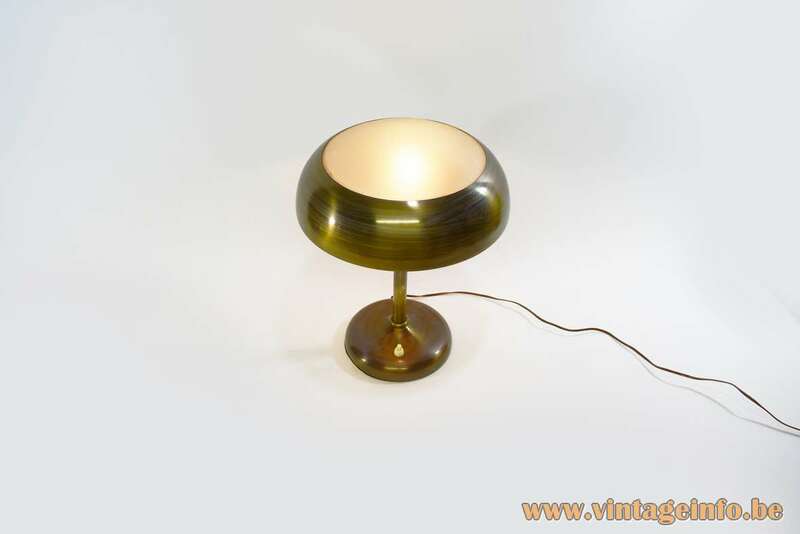 This desk or table lamp has all the looks of a Bauhaus or Art Deco mushroom lamp from the 1920s – 1930s, but in all probability it was made a bit later. 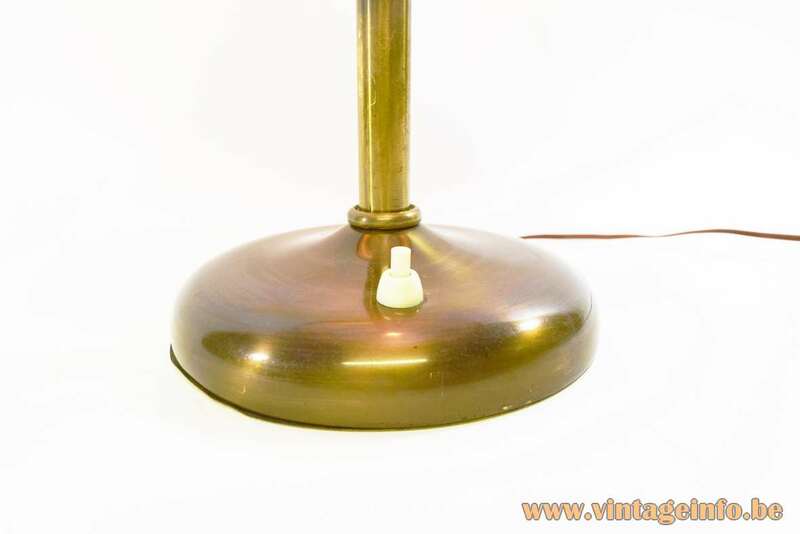 Similar pendant lamps were made by the Czechoslovakian (Czech Republic) company Napako. They were designed by Josef Hurka. 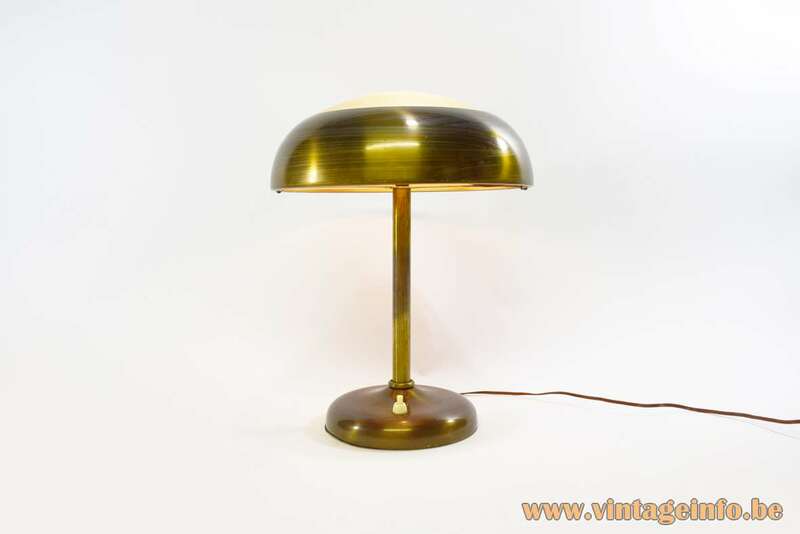 Maybe this table lamp was made by Napako or designed by Josef Hurka. 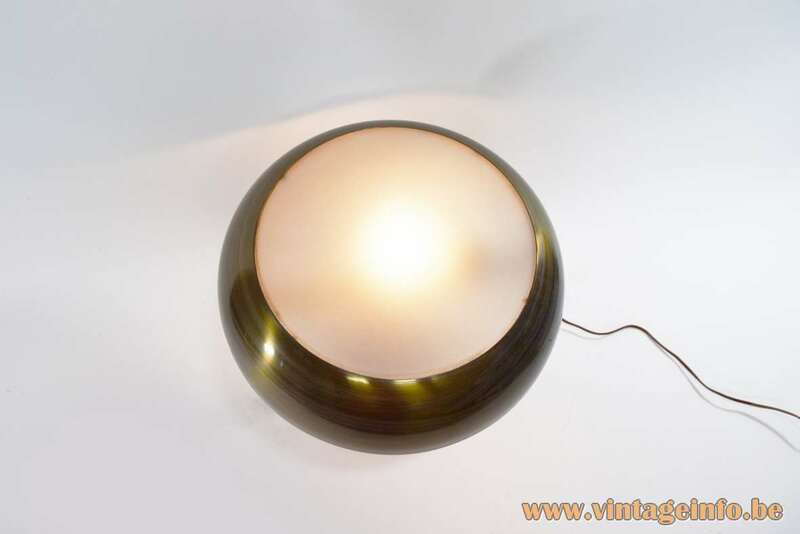 Also Christian Dell and some other designers from that period designed similar lamps. Josef Hurka started to work for Napako after the World War II. First of all as an electrician then later as a designer of lamps. 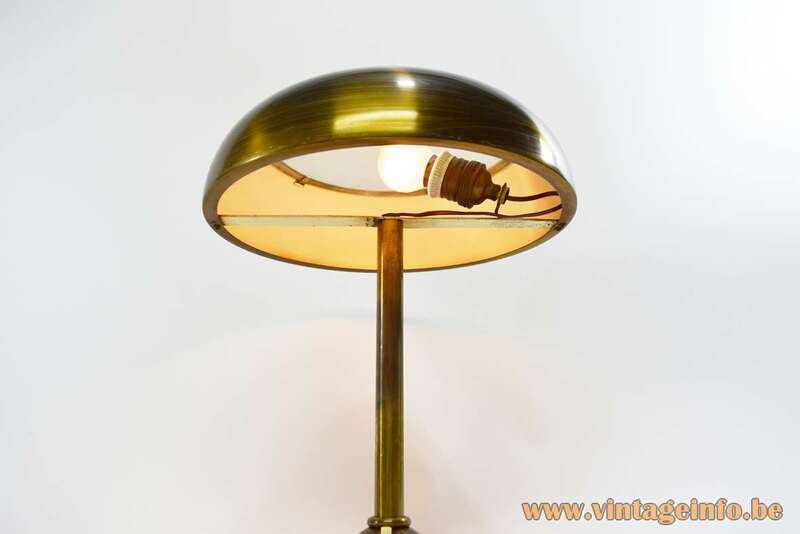 All though he designed most of his lights for Napako, his most famous lamps were produced by Drupol, another company from the Czech Republic. On the bottom of this lamp is a hand written in Dutch label glued. 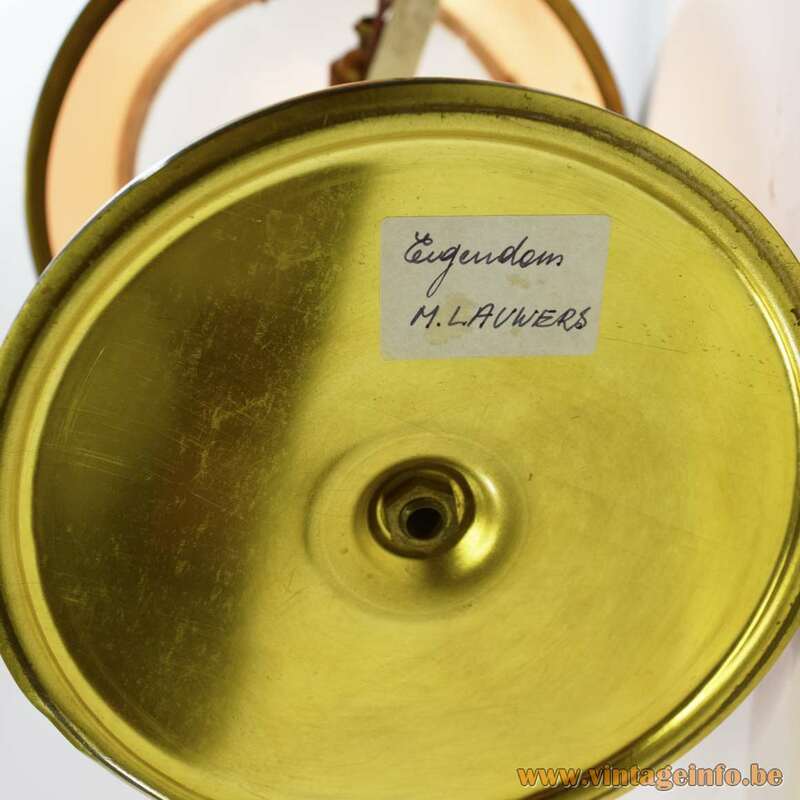 It says: “eigendom M. Lauwers”, property M. Lauwers. It was the owner of this lamp. 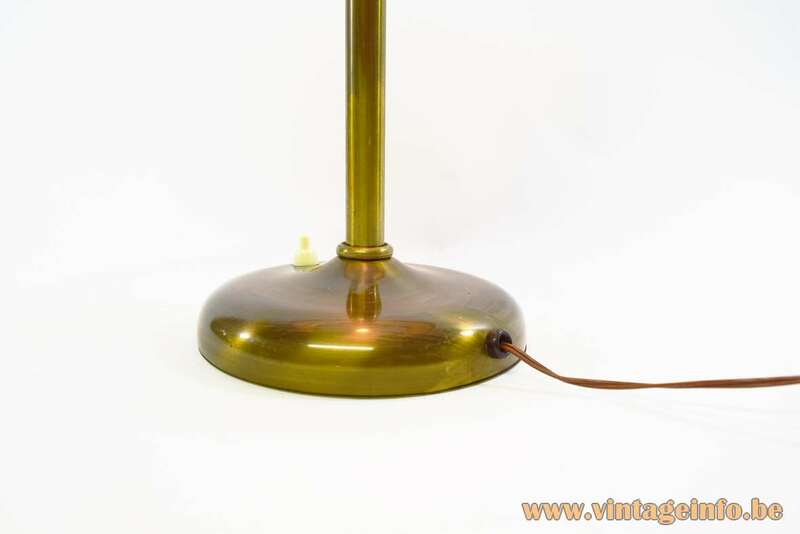 In all probability this lamp was used on the desk of M. Lauwers were he or she worked for years. 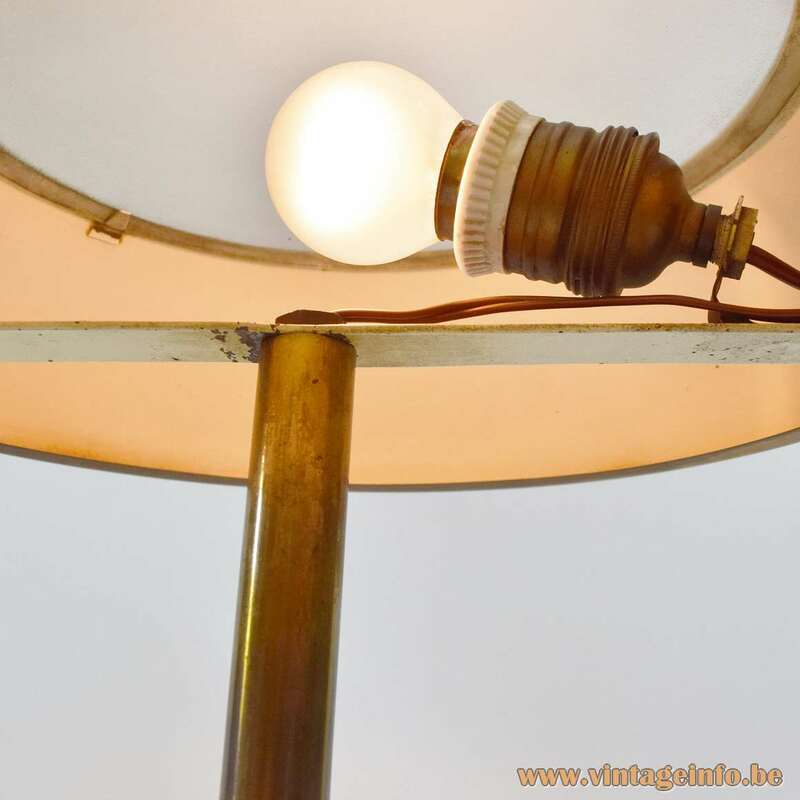 This lamp was acquired in the Dutch speaking part of Belgium, Flanders. Lauwers is a Flemish name.